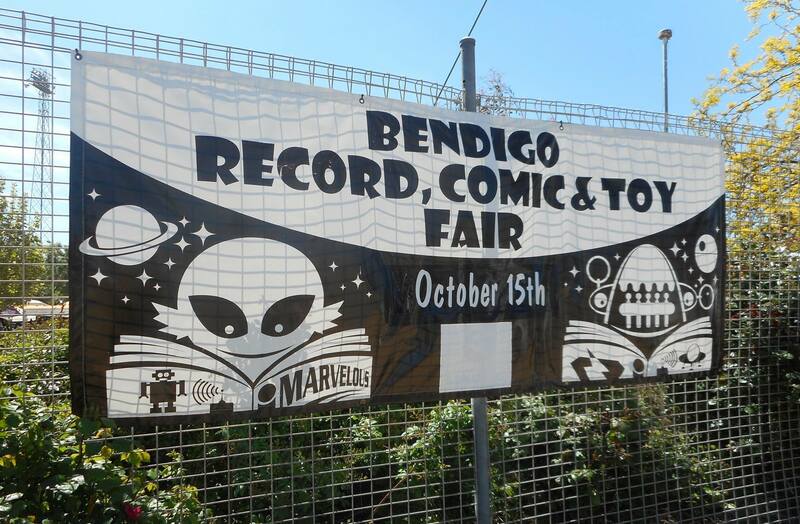 On Sunday 15 October 2017 I traveled to Bendigo to attend their bi-annual collector’s fair, for the first time in 18 months. It’s a show of a great balance of old vinyl records, many comic book stalls and toy/action figure sellers. Also, displays from various sci-fi clubs – Star Wars, Star Trek and Doctor Who. Finally, a few artist tables and a scheduled time of geek and cosplay-related panels meant there was plenty to see and do.